KUALA LUMPUR — Malaysia's military radar had detected a "blip" that could have been the missing Malaysia Airlines jetliner in an area northwest of Penang, about 45 minutes after the plane lost contact with air traffic control on Saturday. 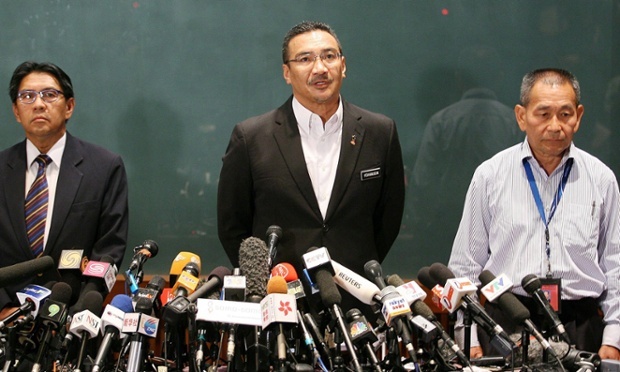 The Royal Malaysian Air Force chief Tan Sri Rodzali Daud said Wednesday, however, that this was still to be confirmed by experts from the United States, and corroborated with radars of neighbouring countries. He said the 'plot' was detected at 215am Saturday at 200 miles northwest of the island of Penang at the northern end of the Straits of Malacca. However, they could not be sure that it was the missing jetliner MH370 as that sort of data is not recorded by the military radar. This would be 45 minutes after the Boeing 777-200 lost contact with air traffic control about 100 miles from Kota Baru at 1.31am Saturday. It had taken off for Beijing at 12.41am Saturday from the Kuala Lumpur International Airport. Rodzali said this 'plot' was detected on a review of the military data recording on Saturday itself. The search operations were then immediately widened to the Straits of Malacca from the original search site in the South China Sea. The search was still continuing in both areas, with 42 ships and 39 aircraft from 12 countries taking part.